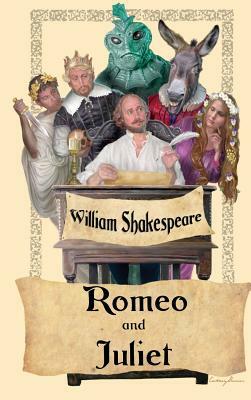 Fortune's Fool Here is William Shakespeare's brilliant play the Tragedy of Romeo and Juliet, set in Verona during a feud between the Capulets and the Montagues. Romeo, a Montague, falls desperately in love with Juliet, a Capulet, and the two secretly marry. Lyrical and poignant, this immortal play of star-crossed lovers will stay with you long after the play ends. 'Tis but thy name that is my enemy. Thou art thyself, though not a Montague. What's Montague? it is nor hand, nor foot, Nor arm, nor face, nor any other part Belonging to a man. O, be some other name What's in a name? That which we call a rose By any other name would smell as sweet.